ALPS General Purpose (GP) Gel Liner, distributed by SPS, provides the ultimate in durability and economy. Providing the softness, strength, and elasticity of the ALPS EasyGel liner, the GP Liner delivers comfort and durability with an economical price tag. Value priced for todays market. New distal-end encapsulation retrofits most liners on the market. Warranty: 12 months (one liner); 24 months (two liners). Using innovative, guided ramp and microcell technology, the improved Venture® Foot provides a wide range of motion for virtually any activity with increased durability and a new 275 lb. (125kg) weight limit. New 275 lb. (125kg) weight limit. Thirty-day trial period and up to three-year warranty. 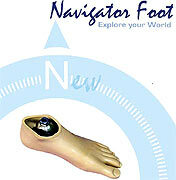 Designed for K2-level amputees, the Navigator is the perfect foot for day-to-day-activity. Around the home, office, or walking to shops and meeting friends, the "natural feel" of the Navigator encourages wearers to expand their horizons as they explore their world. U3: Improvements to the U3 Arm are under way. Watch this space for more. SPS introduces the new Torsion Adapter from Ohio Willow Wood, which provides up to 25 degrees of internal and external rotation and up to 50 percent of smooth rotation for TT and TF amputees to achieve more natural movement. Internal torsion spring provides minimum fixed resistance to twisting. High-performance polyurethane rods in three stiffnesses allow customization. Cushions on both ends and center provide quiet operation. Threaded four-hole distal pattern and threaded proximal end accepts three-prong adapter or threaded clamp adapter for maximum versatility. 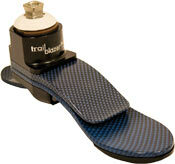 Ohio Willow Wood's new TrailblazerTM MA foot takes the original Trailblazer foot to the next level of motion and performance with its built-in multiaxial ankle. 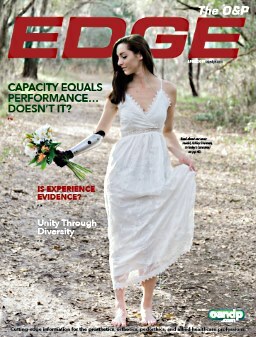 The Trailblazer MA is perfect for high-activity amputees. Customize amount of ankle movement using choice of three Flexion Rings. Customize heel spring with three stiffnesses available. The Trailblazer utilizes U.S. Patent 6,719,807 and EP Patent Application 01303759.3 under license from Chas. 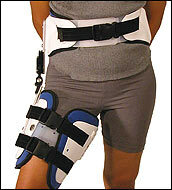 A. Blatchford & Sons Ltd.
HOPE Orthopedic now offers its best-selling HippOTM hip abduction brace in size 3XL for your larger patients. A 3XL pelvic band and a 3XL thigh cuff are also available. The price remains unchanged. The low-profile, universal HippO delivers world-class quality and function at a far lower cost than comparable braces. Known for its superior customer service, HOPE Orthopedic offers same-day order fulfillment until 8 PM EST, three-day shipping for the price of ground, and NDA shipping subsidies on all products. HOPE Orthopedic is a division of HOPE Inc. "When you need it right fast." The latest in Otto Bock's line of innovative orthotic products, the Carbon Ankle Seven gives patients an orthosis that returns more energy for walking and uniquely fits natural movement. The Carbon Ankle Seven was designed with seven degrees of outward rotation to fit the natural pattern of the human foot. Manufactured from carbon fiber to provide energy return during the gait cycle, the movement of its high-tech spring avoids abrupt stopping. The Carbon Ankle Seven replaces traditional ankle joints. The new TT PRO manufactured by Endolite, offers a perfect balance of shock absorption and energy management. 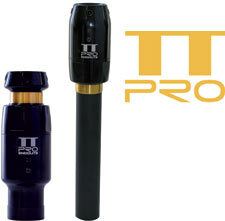 New torsion rod provides 30 degrees of rotation in each direction from neutral position. 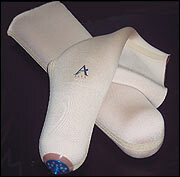 Instant compression at heel strike, and smoother energy return at toe-off. Becker Distributes SpineCor in the U.S.
SpineCor® is a dynamic system that uses postural re-education to target four key progression factors of idiopathic scoliosis: neuro-musculoskeletal dysfunction, growth asymmetry, postural disorganization, and spinal deformation. Clinically proven 89 percent effective in a 400-patient, ten-year study. Custom-made-to-measurement from Becker Central Fabrication. Freedom Innovations' Knee Pyramid Adapter is now available. The adapter provides compatibility between prosthetic knees that accept a 30mm pylon and the company's SilhouetteTM Prosthetic Foot. Clinicians have experienced tremendous clinical outcomes with the Silhouette Prosthetic Foot. With the addition of the Knee Pyramid Adapter, that success can be more easily transferred to the transfemoral patient population. The Knee Pyramid Adapter is constructed of anodized aluminum, rated up to 300 lb., and is sold with a 24-month warranty. It is available for purchase direct from Freedom Innovations or through the company's distributor, SPS. The Shadow Series ultra-lightweight orthosis combines the structural strength and stability of a traditional metal and leather device with the fit and cosmesis appeal of a thermoplastic device to produce a unique, cutting-edge orthosis. 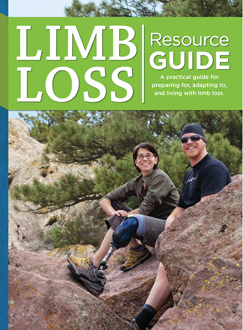 Patient applications include polio, post-polio, CVA, MS CMT, SCI, and TBI among others. If you are seeking to upgrade your metal and leather devices to a lighter, stronger, and more stable laminated product, then the Shadow Series is what you are looking for.